The girls are now in the full swing on molting. Tilly molted first. Finally I am proud to say that both her tail feathers and her eggs have returned. She looked so funny while she waited for those tail feathers to grow back. Oyster Cracker, on the other hand, never seems to escape with a light molt. She is a heavy molter. Starting with the head and ending with the tail, Oyster Cracker is now molting on her chest and wings. Prickly pin feathers are emerging from her neck. The poor girl is a mess. Of course, with molting the eggs are less. Molting and egg making require protein. The eggs decline as the chickens use up their protein stores to make feathers and sometimes chickens will even stop laying eggs. But did you know that in addition to molting each Autumn, there are other conditions that can make chickens’ egg laying decline or stop laying eggs at various times of the year? 1. 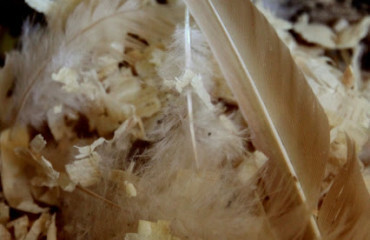 Molting: As mentioned above, both eggs and feathers are almost 100% protein. As feathers are created egg production declines. Here is more information on molting. 2. Predators: The majority of the egg making process occurs as the chickens sleep. If they are startled in the evening while sleeping, woken up or just plain stressed, egg production can halt. Did you also know that predators will sneak into the coop to eat eggs? Often snakes will slink into the coop, find the eggs and swallow them whole. 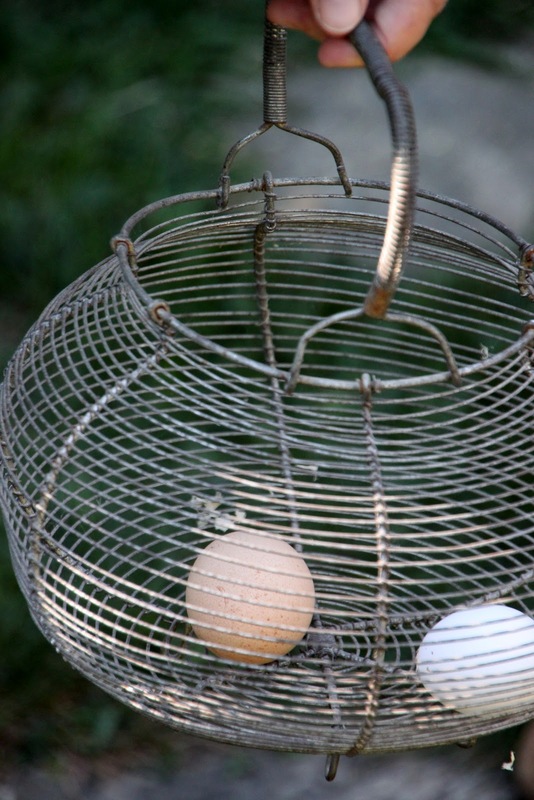 Foxes, skunks, rats and weasels will also eat your chickens’ eggs. 3. 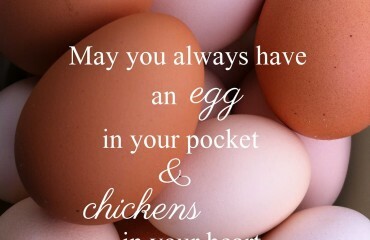 Lack of Evening Food: As the egg forms in the chicken’s body overnight, be sure that they are not going to bed hungry. Provide them with access to food and water right before bed. You might find your egg production increases. My girls love to chow down before they roost. When I pick the Silkies up out of the nesting boxes to place them on the roost at night, I can’t help but smile when I feel their full little crops! 4. Lack of Protein: Over-treating the flock with lower protein foods like vegetables, breads, table scraps and fruits can cause a chickens to stop laying eggs or a decrease in their productivity. Chickens require their diets to be approximately 17% protein. Try switching out their treats to ones that contain more protein such as sunflower seeds and dried meal worms. 5. Heat Stress: Can you imagine even wanting to lay an egg if you are overheating and not feeling your best? On very hot and humid summer days, egg production can decline. Read more about heat stress here. 6. Old Age: Hens are most productive during their first 2 years of laying. After that, their egg production tapers off. With each year, it decreases. This is a normal process of the aging for hens. 7. Broodiness: Hens that are broody will lay a clutch of eggs, typically one per day, until they have reached their maximum sitting capacity. Once a hen goes broody, her focus is on hatching her eggs and raising her chicks. Hormones in her body tell her to stop laying eggs. Egg laying typically returns a few weeks after they hatch their chicks or they are no longer broody. 8. 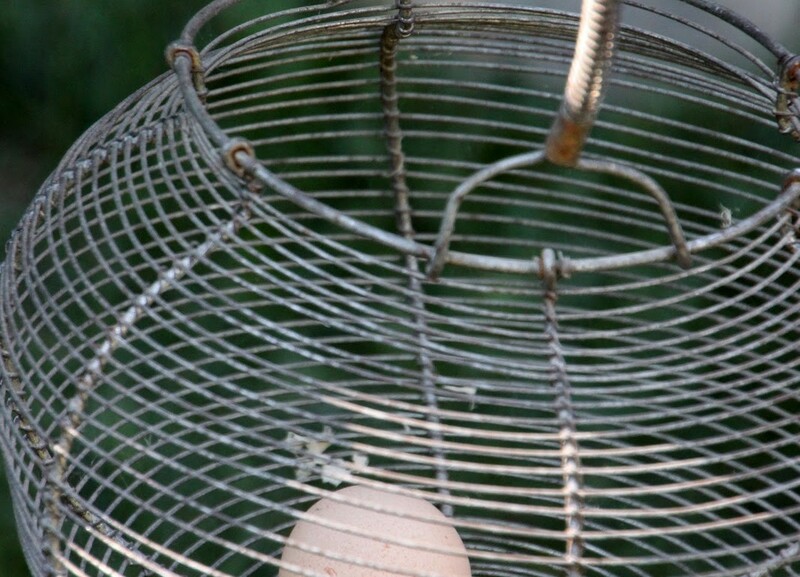 Egg Bound: Often when eggs are too large to pass, a hen can become egg bound. A tell tale sign is a puffed up hen sitting in the nesting box, not looking so good. She does not feel like walking around. Her lower half of her abdomen, when gently touched, reveals fullness-the egg that is stuck. She will not feel like eating or drinking. This is a medical emergency- not only will she not be laying any more eggs, her life may be in jeopardy. 9. Egg Eaters: Don’t be fooled. Sometimes your hens are laying eggs, but you have an egg eater amongst the flock. Raw eggs once sampled by the hens, are irresistibly delicious. You have to be quick to break this terrible habit, but it can be done. Click here for more egg eating information. 10. Lack of sunlight: Hens require 14 hours of sunlight to stimulate their brains to lay an egg. Eggs naturally has a decline during the winter months. This is a normal process and egg laying resumes as longer days arrive with spring weather. Adding windows to the chicken coop can help.